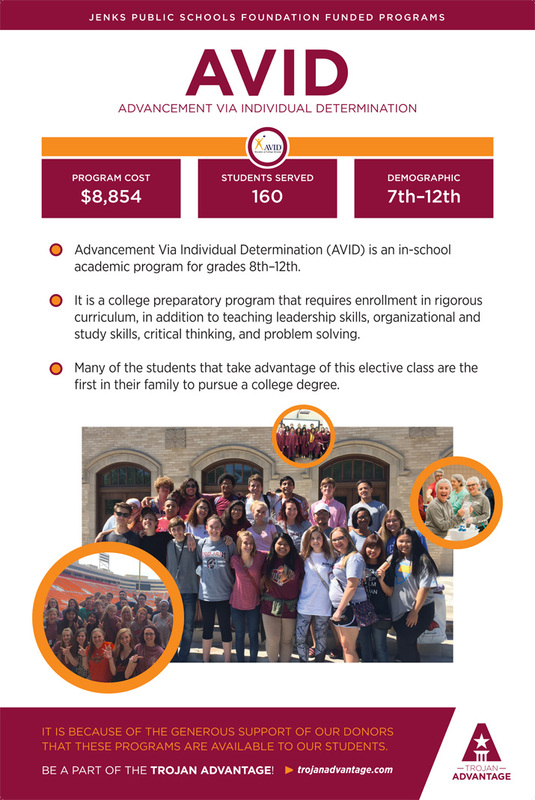 Advancement Via Individual Determination (AVID) is an in-school academic support program for grades 8–12. It is a college preparatory program that requires enrollment in rigorous curriculum, in addition to teaching leadership skills, organizational and study skills, critical thinking, and problem solving. Many of the students who take advantage of this elective class are the first in their family to pursue a college degree.